The iPad mini had only been officially in the wild for 24 hours before we were treated to a picture of the failbreak jailbreak running on the tablet. Although it has been jailbroken using the developer only method that we have been hearing about in the last month or so, it shows that progress is being made behind the scenes. In addition to the iPad mini jailbreak and iPhone 5 jailbreak, Grant Paul – a.k.a. chpwn – has now taken the opportunity to show off Cydia running on the gorgeous Retina display of the new fourth-generation iPad. The failbreak methods, which will be reserved purely for developers and hopefully give them an upper-hand in trying to find a publicly releasable method, were originally shown off by chpwn back in September on the iPhone 5 almost immediately after the hardware was released. 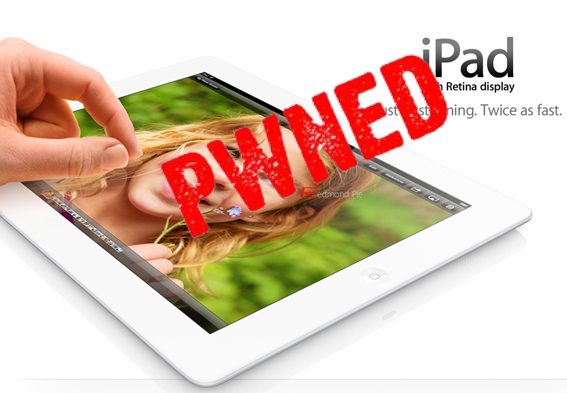 The iPad 4 has been officially available since last Friday and although it has largely taken a back seat to the iPad mini, chpwn has used exactly the same jailbreak techniques to get Cydia up and running on the tablet. The image posted alongside the announcement tweet shows nothing more than the home page of Cydia on the device. As you might expect, with the physical screen size and resolution of the fourth-generation iPad being the same as the previous generation, Cydia looks exactly the same as it does on the iPad 3. It’s likely that the failbreak running on the iPad 4 is the updated version that has been upgraded with a kernel exploit thanks to PlanetBeing, making it possible to actually install and run tweaks. Now that the iPhone 5, the iPad mini and the iPad 4 have all been shown with a running jailbreak, the inevitable community cry will come to attempt to push those involved to make the jailbreak public. From a technical aspect, it is extremely encouraging that all three pieces of hardware have had their security bypassed, but with this failbreak method requiring an Apple developer account, there is no way it can be made public. New exploits are still needed to make a public distributable jailbreak. As time progresses, the likes of MuscleNerd, PlanetBeing and potentially pod2g will be using the failbreak method to search for additional exploits that can be used to offer a stable untethered jailbreak to the masses. For those of you who are still rocking Pre-A5 based devices, you can jailbreak iOS 6 and jailbreak 6.0.1 using Redsn0w. The jailbreak though is limited to tethered boot for limera1nable-only devices for now.